The Order of the Founders and Patriots of America (OFPA) is a United States-based, hereditary fraternal organization whose self-declared purpose is to collect and preserve records related to the original American colonists and their descendants, and to promote camaraderie among descendants of original colonists. Membership is limited to men directly descended in the male line from a person who settled, prior to 1657, in the territory that would become the thirteen colonies and whose family helped achieve, through military service, United States independence. The strict bloodline mandates, and the organization’s requirement that prospective members be able to document more than 350 years of their family pedigree with primary sources, have earned it a reputation as the most exclusive lineage society in the United States. However, unlike the Society of the Cincinnati, membership eligibility does not descend through family lines by order of agnatic primogeniture, meaning more than one member of the same family can simultaneously hold membership. The OFPA was founded in 1896. Its first annual meeting was held in the Governor’s Room at New York City Hall under the auspices of OFPA governor-general Frederick Dent Grant. Other founding officers of the organization included James J. Belden and Thomas W. Bicknell. The general court of 1904, convened at the Waldorf Astoria and coinciding with the New York OFPA society’s annual assembly, saw George Dewey elected governor-general. According to the society, other notable persons holding membership include William Howard Taft, Warren Harding, Lt.-Gen. Herman Nickerson, and Robert Roosevelt. The OFPA is organized into 28 regional chapters, known as societies. These, together, form the general society, which is headed by a governor-general. The society is headquartered in Virginia. The OFPA annually presents an award to an outstanding college Army ROTC unit. The “Order of the Founders and Patriots of America Award” has been called “the Heisman Trophy of Army ROTC” and is awarded based on a criteria that includes the number of United States Army officers a unit commissions and the academic performance of cadets. A separate award is periodically presented to an outstanding National Guard unit. The society also underwrites individual awards named after its deceased members. The George Dewey Award is annually presented to a United States Naval Academy midshipman, and the John Wright Award, named after former 101st Airborne Division commander Gen. John M. Wright, is given to an outstanding West Point cadet. The OFPA and its member societies fund the erection and installation of monuments and markers at the sites of historical occurrences in early United States and colonial American history. 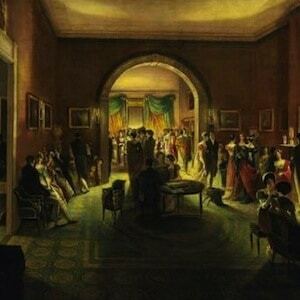 The general society’s annual meeting, known as the general court, is held each May. The 117th general court, in 2013, was convened in Williamsburg, Virginia. The OFPA periodically publishes The Register, an index of the genealogical pedigree of members, and The Bulletin, a semi-annual membership newsletter.